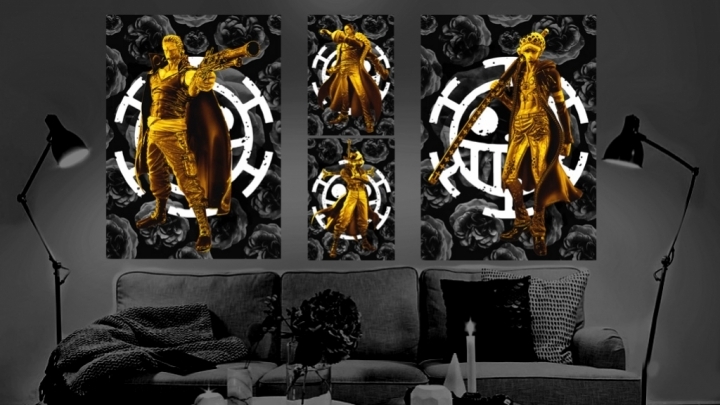 One piece gold ultimate fanart collection designed by SyanArt featuring some of the most important and iconic characters of One Piece anime manga. Designed in a goldish color pallete shinny effect on a black and white background with the Pirate Straw logo. You can purchase this collection as Metal Prints in the Displate store with the link bottom below.